If you’ve hosted a small event in the past, you know how much time and energy is required make it successful, before, during and after the event. At one point, you may have considered preparing the food yourself, but you are either short on time, require special kitchen equipment, or simply because you want to relax and interact with your guests rather than be pre-occupied in the kitchen. From festive holiday dinners to a lavish engagement party with your closest friends and family, hiring a top caterer for your small event will save you plenty of time and energy. From creating a menu to making sure your guests are happy and comfortable, it will allow you to enjoy your own event as though you were a guest, providing you with an overall stress-free experience. 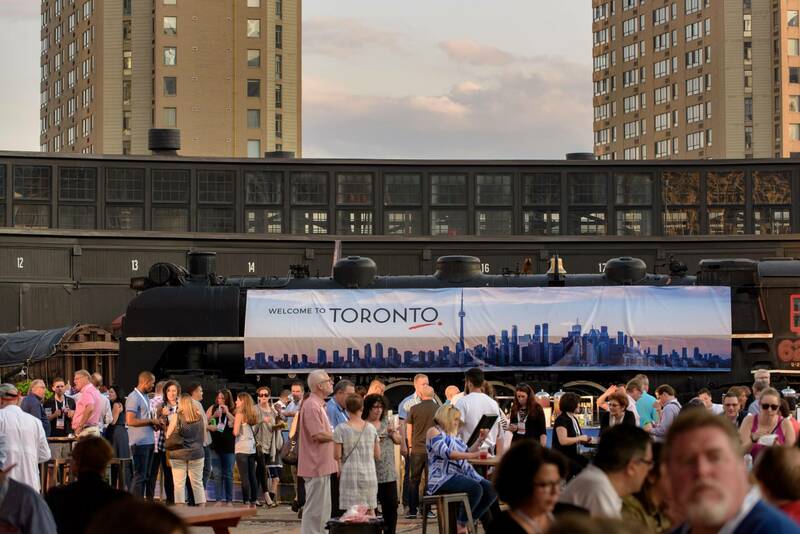 Last month, Daniel et Daniel had the pleasure of catering the ASAE (American Society of Association Executives) Closing Party here in Toronto at the Steam Whistle Brewery and Round House Park. The ASAE holds an annual conference at different locations every year. 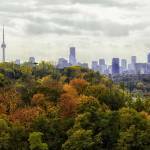 This year, timed with Canada’s 150th Anniversary, the ASAE selected Toronto to host their event. 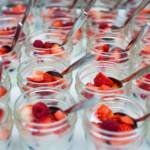 With over 2,000 planned international attendees, we wanted to give ASAE members a truly Canadian culinary experience. June is Pride month in Ontario; when we come together to not only celebrate our differences, but to also to appreciate our rights to be who we want to be and to love whomever we want to love. 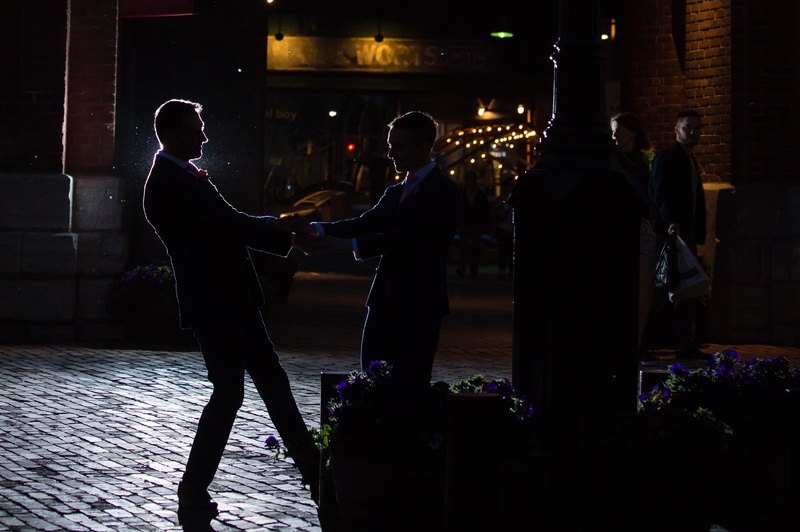 It was also the month that we got to know Stephen & Tony, and helped make their wedding day as beautiful as they are. 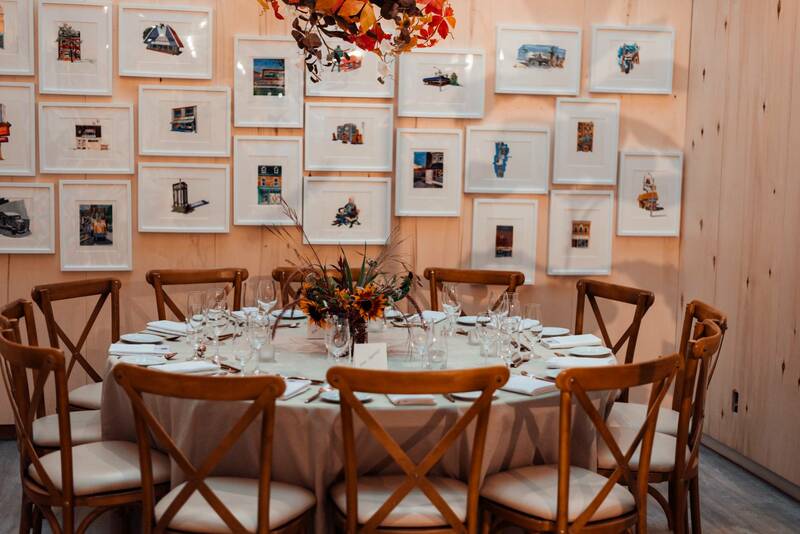 What it takes to cater and plan one of Toronto’s largest milestone sporting events. 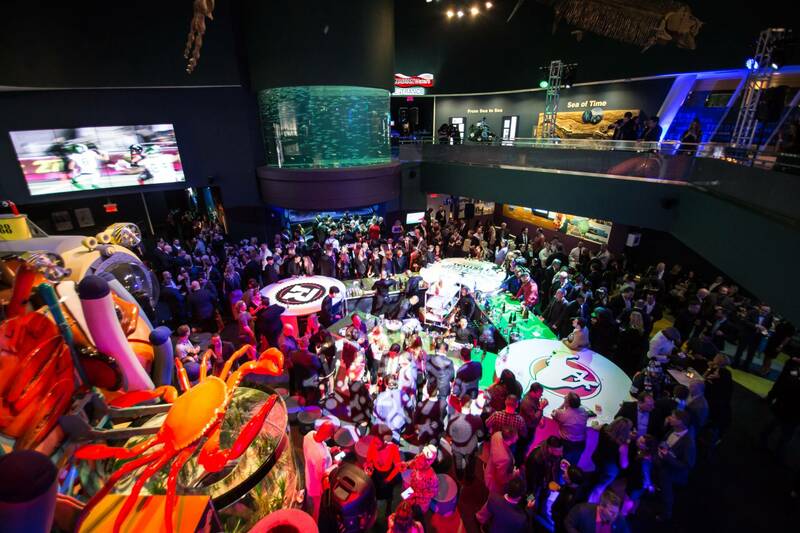 Giving fans a chance to hang out with some of their favorite athletes, the Grey Cup kickoff party is the ultimate event for football enthusiasts across Canada. 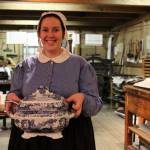 With 104 years of history, it’s amassed plenty of attention. This kickoff was particularly special as it returned to Toronto, the city where the first championship for the Grey Cup was played in 1909. 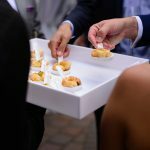 We cater weddings all around Toronto and each one is unique and special for its own reasons. What made this particular Toronto wedding special for us was that it was for our very own sous-chef Hillary Brown and her husband Carmel Joseph Cuschieri. 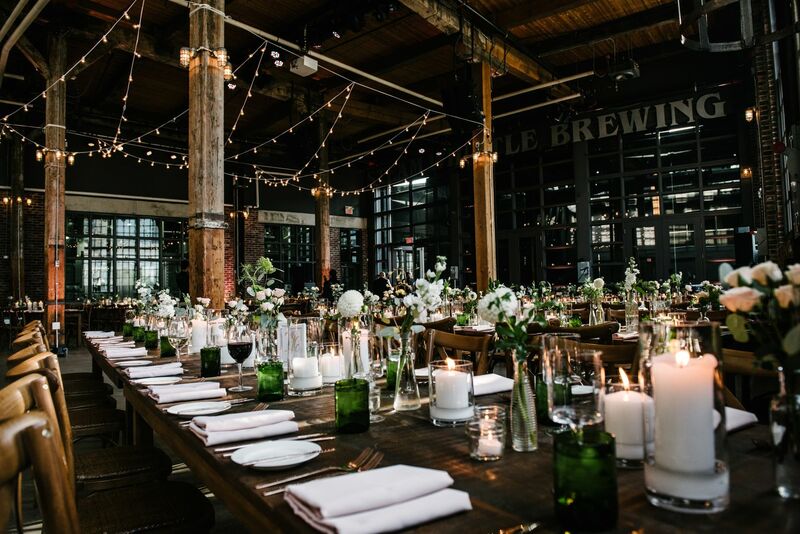 Steam Whistle weddings are gorgeous. 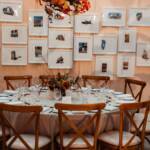 The indoor and outdoor spaces work perfectly for both rustic and chic weddings. The Beer Hall alone can entertain anywhere between 250 to 500 guest depending on if you do a sit down or reception. You don’t need a large group to get married there, Steam Whistle Brewing is happy to entertain groups as small as 30. Hillary and Carmel Joseph’s wedding was for 120 invitees.